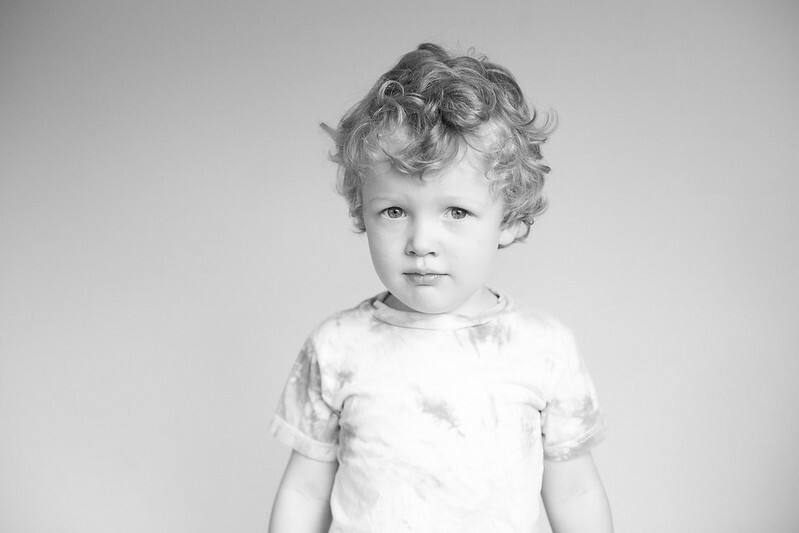 by gillian claire: portraits of a two year old. 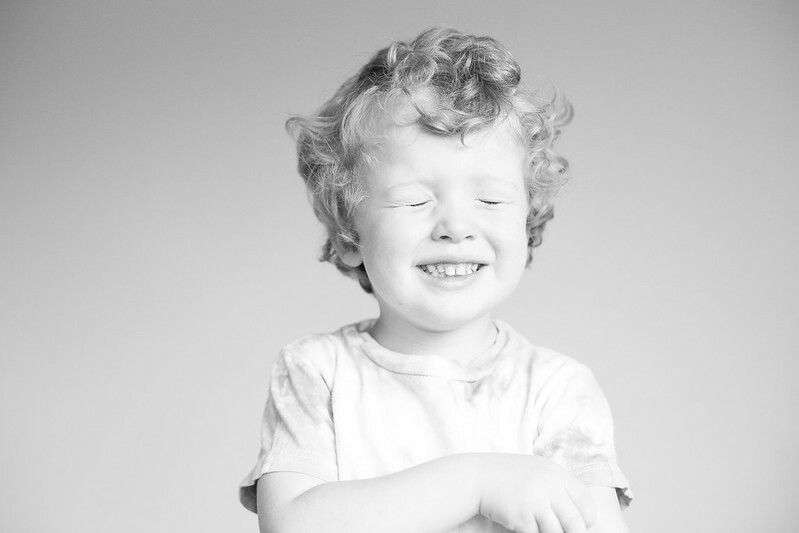 portraits of a two year old. 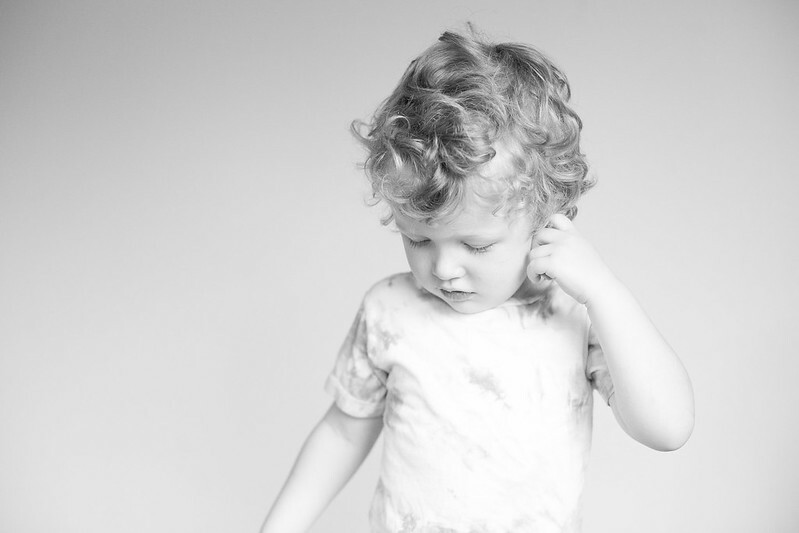 i took these photos of asher right before he turned 3. he is wearing a tie dyed shirt that roman and i made when i was still pregnant with asher. we dyed and tie dyed a bunch of onesies + matching big boy shirts together that summer. asher's hair is long + curly in these pictures and on his birthday i cut his hair for the hundredth time while he sat our little stool in the living room. 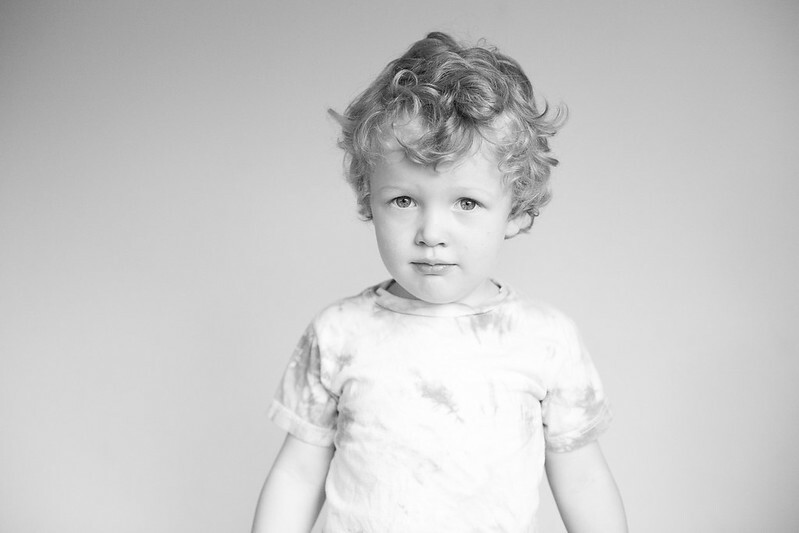 i love these photographs, the last portraits of my two year old. a little china doll made real. these pictures remind me of these, taken of asher at 21 months old. I do too - it's just heartbreaking how fast they grow! These are so cutie. what a great smile. Thank, Misty! I didn't honestly even plan to capture these last portraits of him before his third birthday, but I happened upon them while scrolling through photos in Lightroom and realized how perfect they were! i LOVE these photos. they are stunning in black and white. his eyes, in particular, just jump right out. such a cutie, that little boy of yours! Thanks so much, Lucinda! I was playing around with these photos and once I turned them to black and white I totally fell in love with them! I died when I saw these the first time over on Flickr and of course, I die again. Seriously! When did they get so old? And those eyes matched with those curls ALWAYS kill me. Aww, thanks Jenn! I am so in love with these photos as well. Some photos just turn out SO perfect, you know? These were just some random shots I took one afternoon but they are so special to me now! I really don't know how our boys got so grown up - AHH! Aw! These are so cute! Love his hair. And I've really been digging B&W portraits lately!! He is a perfect doll just as you said! Such great shots, love these! I love pictures like these! It shows the kid's personality perfectly. This little boy is so stinkin' cute! Asher is absolutely beautiful! I love these photos. absolutely stunning photos! I love these! What a darling two year old. Love the photos! So completely adorable! I love how you edited the photos too! This post is precious. Very sweet. these photos are so sweet! :) great job! oh wow very handsome cutie you got there. Such a cute lil man. Adorable! I am in love with these pictures! What a sweet baby! He is so precious! Love his curly hair! Those eyes and that precious head of hair! What an adorable adorable child! These photos are beautiful. I love that the focus is on him. And I'm in love with his curly hair! What a stud! That hair! !